White House Press Secretary Sean Spicer is out of the briefing room this week, and already there is speculation about his future. A White House official told CNN that officials at the highest levels, including the president, are monitoring Deputy Press Secretary Sarah Huckabee Sanders' performances as she substitutes for Spicer in the briefing room. The perception, according to multiple sources inside and close to the White House, is that Spicer has been "benched" during a critical week, following the president's termination of FBI director James Comey. And the big question, one source said, is whether it's temporary or permanent. Spicer isn't handling the daily press briefings from Wednesday to Friday while he is fulfilling his Navy Reserve duty at the Pentagon, which the White House says was previously scheduled. 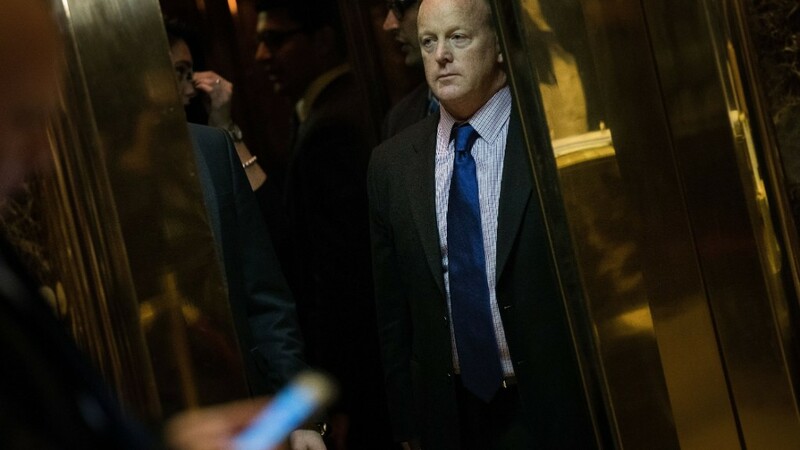 A source close to Spicer told CNN that President Trump personally gave him the OK to take leave, and said Spicer will be present at the White House Wednesday night after his duty is done for the day. But Sanders offered a "significant contrast" in the briefing room Wednesday, said another White House official who added Spicer's reserve duty "couldn't have come at a worse time for him." 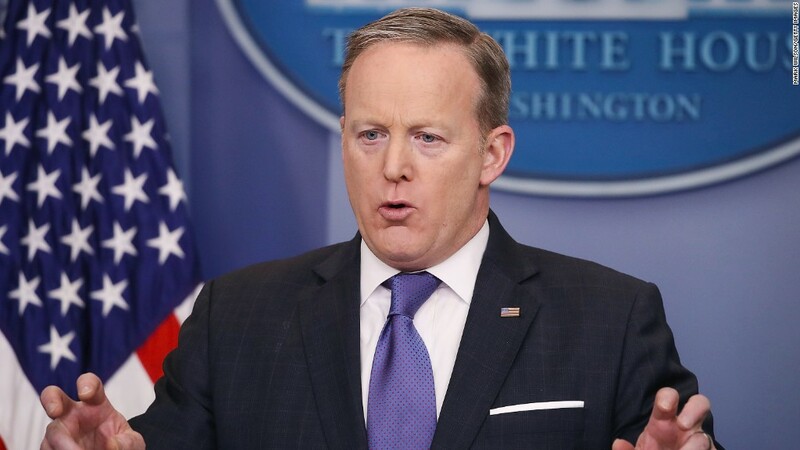 However, another White House official disputed the notion that Spicer had been sidelined, and sources close to the press secretary stressed the importance of his Reserve duties. "He has taken his Navy duties very seriously in all the time I've known him," one source said. "So if he's on duty, he's on duty, and I wouldn't read more into that in itself." Another source close to Spicer added, "Keep in mind Sean is following military orders, not military suggestions." Whatever Spicer's fate, the scrambled effort to address Comey's firing has revealed something significant about this White House, which is that its press secretary is growing increasingly irrelevant. Already beset by critics who say he has lost his credibility, Spicer may now be losing his authority. His charge is to tell the media, and the public, what the president is thinking. And yet it is becoming increasingly clear that he is either not able to fulfill that task, or choosing not to. A little more than three hours before Trump fired Comey, Spicer could not say whether his boss still had "full confidence" in Comey. "I have no reason to believe -- I haven't asked him," Spicer said at Tuesday afternoon's White House press briefing. "So I don't -- I have not asked the President since the last time we spoke about this." Pressed again, Spicer replied, "I don't want to start speaking on behalf of the President without speaking to him first." 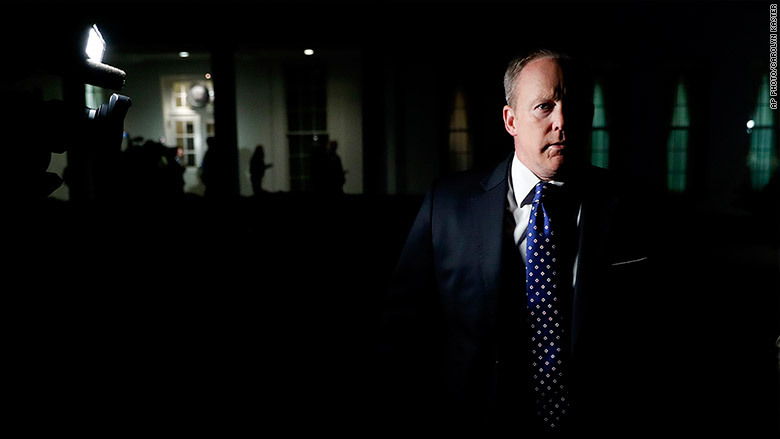 Later that night, Spicer stood before reporters outside the White House, in the dark, sounding similarly ignorant of his boss's thinking: Had the president spoken with Deputy Attorney General Rod Rosenstein about Rosenstein's review of Comey, a reporter wanted to know. "No, I don't believe, I don't know how that sequence went. I don't know," Spicer said. 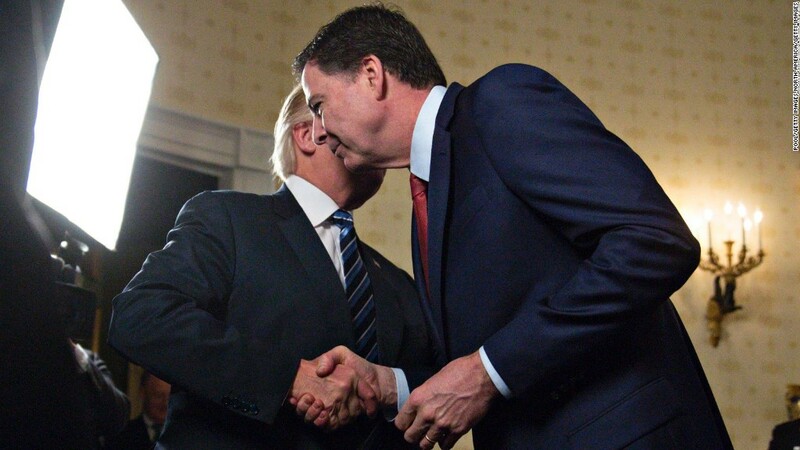 When's the last time Trump and Comey spoke? "I don't know. I don't know," he said. "There's some. I don't know. I don't know." Two senior White House officials were sharply critical of the White House press shop's handling of the Comey news Tuesday night. It was an "embarrassment," one official said. "A disaster," said another, who added that the president himself thought it was "handled poorly." The president "should be mad," one official added. This official said sending Sanders into the briefing room was the right call. "She does a great job," the official said. Spicer is not scheduled to address reporters at all for the remainder of the week. Instead of briefing, he will be at the Pentagon on duty with the Navy Reserve, with which he has served for nearly two decades. That commitment was "previously scheduled," according to White House communications director Mike Dubke. Already, Sanders has received some praise for her performance from reporters on Twitter. "Sanders obfuscates same as Spicer," The New York Times' Maggie Haberman tweeted. "Also does it without making deeply personal, petty, condescending. Politico reporter Josh Dawsey tweeted a similar sentiment: "Sarah Sanders parries, spins and obfuscates, too. But she's not condescending and seems comfortable at the podium doing it." The job of White House press secretary is far more than just the daily press briefing. The press secretary runs the press office, oversees the White House's public statements and press logistics, and manages a team. Even a great briefer could, as a result, be a bad press secretary. But the president's criteria for what he wants in a press secretary may be more limited -- as CNN has previously reported, Trump watches the briefing almost daily. Spicer's last public appearance on Tuesday night took place outside the White House. Following an interview on the Fox Business Network, he disappeared behind a hedge and huddled with staff in the darkness. He emerged several minutes later to take questions from the reporters standing between him and his office. "Just turn the lights off," he said, according to the Washington Post's account of his impromptu briefing, asking that he not be filmed. "Turn the lights off. ... Can you just turn that light off?" He took questions for about ten minutes. On several occasions, he referred the inquiring reporter to the Justice Department. To others, he said he would have to get back to them once he had the full details. But on several questions, the refrain was simply, "I don't know."